I saw someone on Instagram several months ago post a picture of the new cotton+steel Tinsel Christmas collection and I knew that had to be our Christmas pjs this year. I’m trying to make yearly handmade Christmas Eve pjs a thing. I’ve been pretty good at getting the boys’ pjs made the past few years but not so good at adult versions. This is the year I’m going to do it all! 😉 So far, so good since I have the boys pjs completely finished and it’s not even mid-December. Who is this person I’m becoming? Never fear my Christmas sewing list is a mile long and I’ll be sewing well into the wee hours of Christmas eve to finish it all! Anywho, back to the pjs. I picked up the fabric at Fabricworm a month or so ago using a gift card I’d been saving and got my favorite prints out of the line. I knew the boys had to have this snow globe fabric. I mean, it’s just too cool that several of the places they’ve been in the last year and a half (Paris, San Fransisco…) are pictured in the globes! They got to decide which color they each wanted and thankfully there was no fighting over that! Though they were complete goobers during the photo shoot and so ended up getting their heads cut out of half of the pictures because they were just ridiculous faces. Pants: Parsley Pants. Size 4. (sized up because of cloth diaper bulk.) Quilting cotton. No mods except cuffing up the hem for length. Shirt: Safari Raglan. Size 2. Laguna Jersey in Onyx for sleeves. Thermal Waffle Knit for main body. Both from Imagine Gnats. The reindeer head is a freezer paper stencil. Pants: Parsley Pants. Size 5. Flannel. 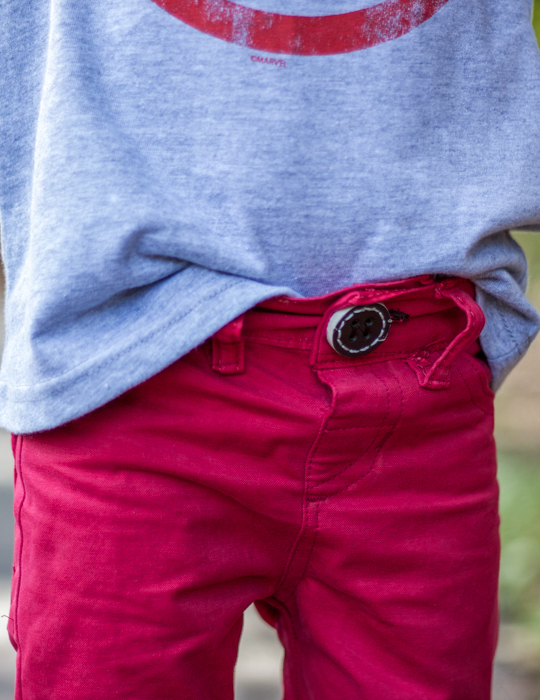 Mods- widened the waistband from 1.5″ to 1.75″ to accommodate the 1.5″ wide elastic I had in stock. Shirt: Old Navy (Oliver had this shirt in his closet and since it matched his pjs perfectly, it didn’t make sense to make him another one. Plus I used up the rest of my waffle knit on Eliot’s tee) . Added the reindeer freezer paper stencil in silver glitter paint. The stencil didn’t turn out exactly as I had planned but overall I think their Christmas pjs are really cute. And they’re happy so that’s really what matters. Now the hard part is to keep them put away until Christmas Eve! And of course get busy sewing mine and the hubby’s pair. But, I almost forgot, if you check out my latest Imagine Gnat’s post, you’ll see I already have my shirt finished and it uses the same waffle knit that Eliot’s has! You know my passion is sewing for boys, right? 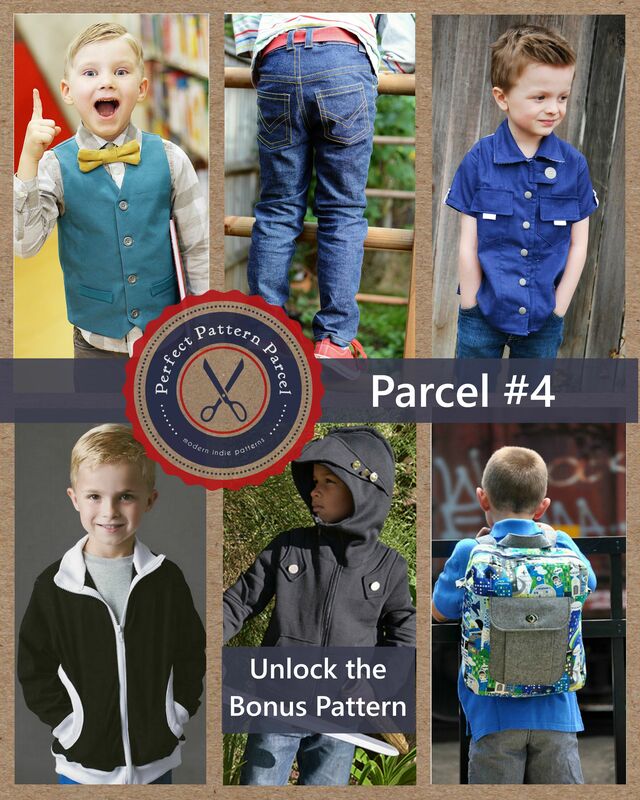 So I was super excited to see that the newest Pattern Parcel is all about boy patterns! 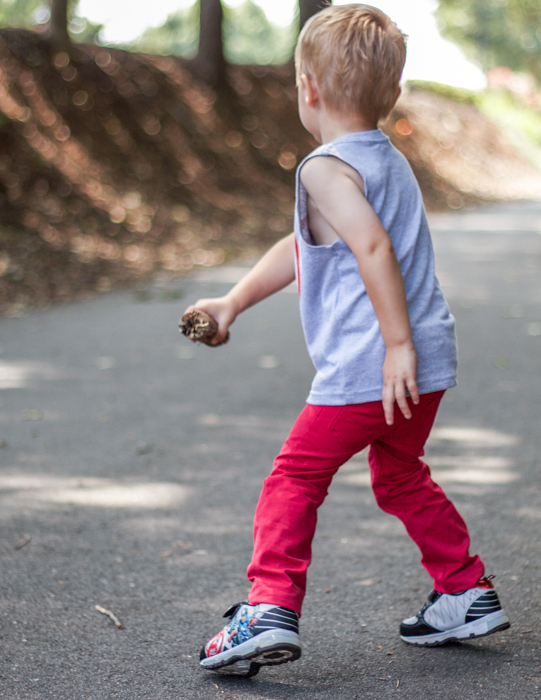 Jill has done a great job curating a selection of boy patterns for us to enjoy. I picked the small fry skinny jeans from this parcel to sew. 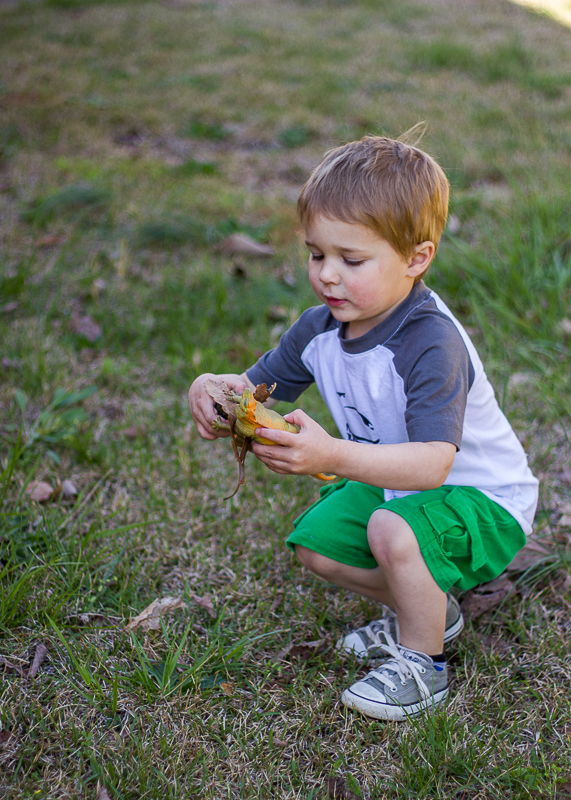 Oliver is in dire need of pants for the fall and this is the perfect style for him. 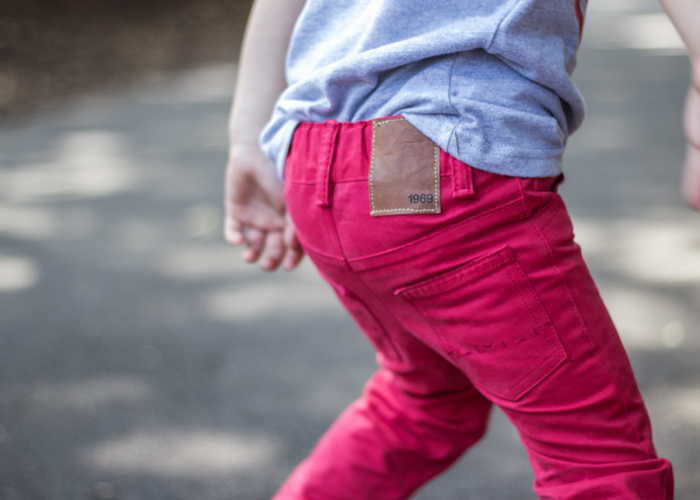 Mr Skinny Self looks great in a pair of skinny jeans! 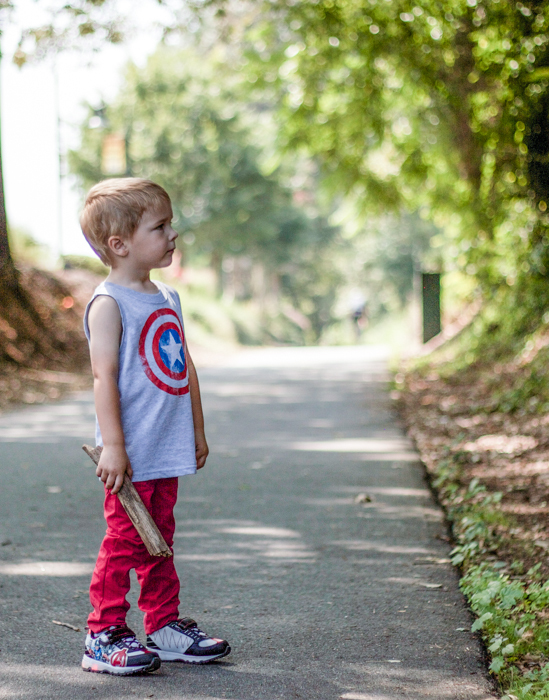 Unfortunately he was not digging this photoshoot but I bribed him into the outfit by pulling out the Captain America tank I bought him for next summer and telling him they were superhero pants 😉 Worked like a charm. I sacrificed a pair of my husband’s pants for this. He bought them on clearance a while back but never wears them because the red was just a little too much for him. 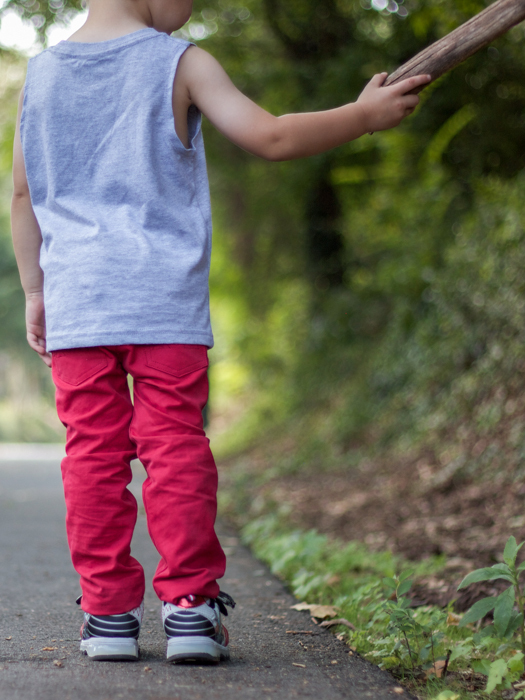 But red pants on my 3 year old- way awesome. I reused a lot of the pieces too: seam-ripped the waistband and belt loops and cut them down to size. I also added the leather piece from the original pants to the back waistband which I think is fun. 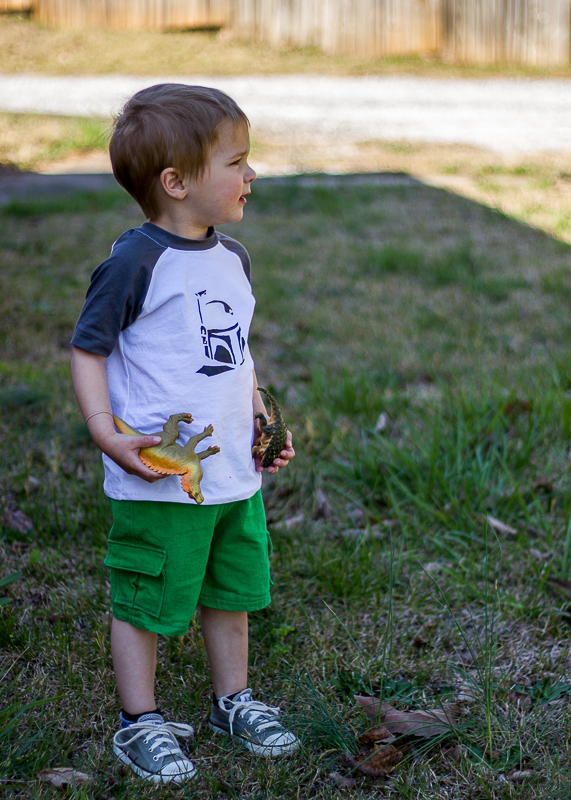 Pattern Notes: I made the 2T and added 2″ to the hem so that he won’t grow out of them so soon. I would normally cuff the hem up so they’re not so baggy in the legs but that looked funny with his tennis shoes so I just left them alone. Next time I’m going to size up to the 3 because the pants are a wee bit tight. The other pair I made him still fit great so it must be that the twill doesn’t have as much give as the denim does. I didn’t do the adjustable elastic because I didn’t have any and was too lazy ran out of time to make my own. Instead I sewed the elastic in place on one side, pulled it through the waistband, then tried the pants on for fit before sewing the elastic down on the other side. As I mentioned last time I made these pants, they are labor intensive. But having a pair to reference makes the sewing go a lot quicker! I was able to finish these in one night- I might have had a bit of a sewing marathon and stayed up way too late but still, not too shabby. And I love how professional the finished result is. Side note: I was provided with these patterns in exchange for sewing from them for the blog hop but I actually previously bought the jeans pattern so I already owned this one. All opinions are, as always, my own. You can see my original pair of jeans here. Click on the button below to take you to the info page where you can purchase this bundle for yourself! It’s only available through this Friday so don’t wait too long! Here’s the schedule for all the other talented bloggers following along with this blog hop. Make sure to go check them out to see how they interpreted these patterns and for some inspiration in boy sewing! We had a birthday party for Oliver this weekend. 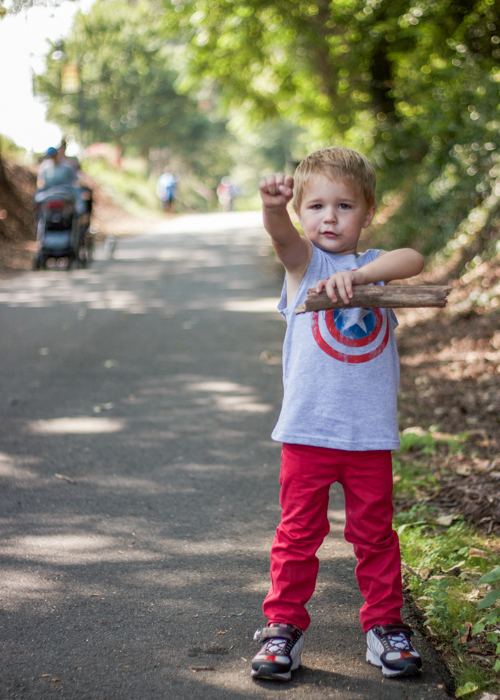 Can you believe my little boy is three already? Wow that’s crazy! Anywho, we didn’t have a party for him last year, but now that he’s old enough to enjoy parties and such, we thought it would be fun to something with his friends. 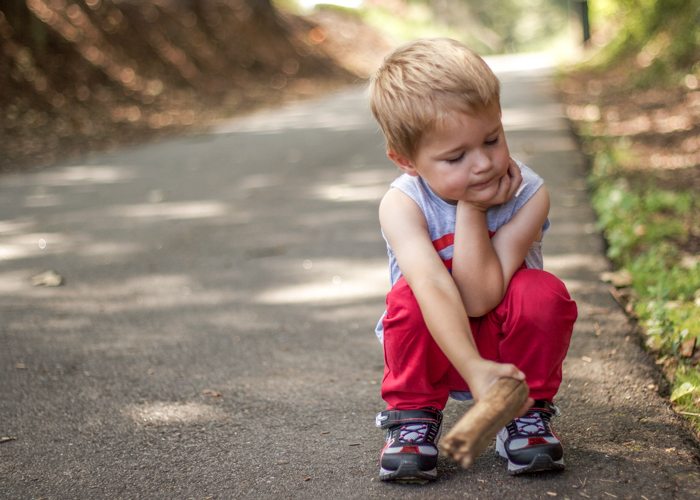 We invited a few of his little buddies (and parents, of course) to the park for a morning of play. It was a gorgeous day and they all had lots of fun. Eliot could be found roaming underneath the picnic table trying to steal everyone’s snacks! lol Of course a birthday wouldn’t be complete without a handmade number shirt from mom, which I conveniently matched to his number shorts. He looked so stinking cute in his outfit. 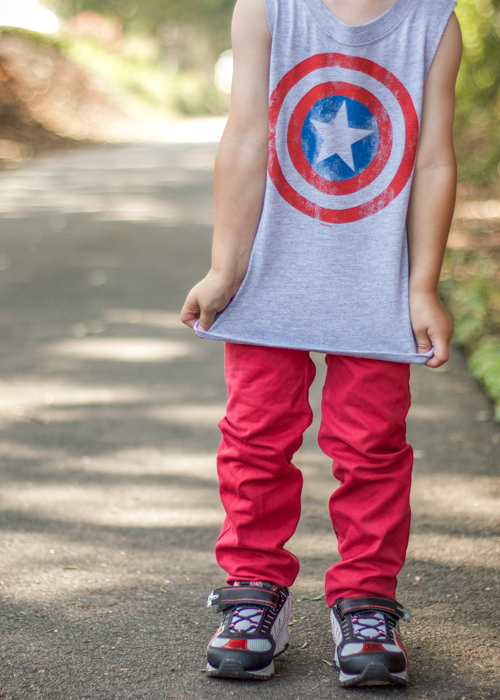 Shirt pattern is Raglan Tee from Sewing for Boys. I cut out the letters and appliqued them to the shirt after constructing it. I bought the orange Robert Kaufman laguna jersey from fabric.com after reading several bloggers’ comments on how nice it was. And it really is nice! I’m definitely going to be buying more of it in several colors. It just has such a nice feel and drape! And I’m very close to Fabric.com’s new warehouse so it is so tempting to buy from them right now- I get my order within two days of placing it! Shorts were previously blogged here. Another fun part of the birthday party were the lightsaber favors. 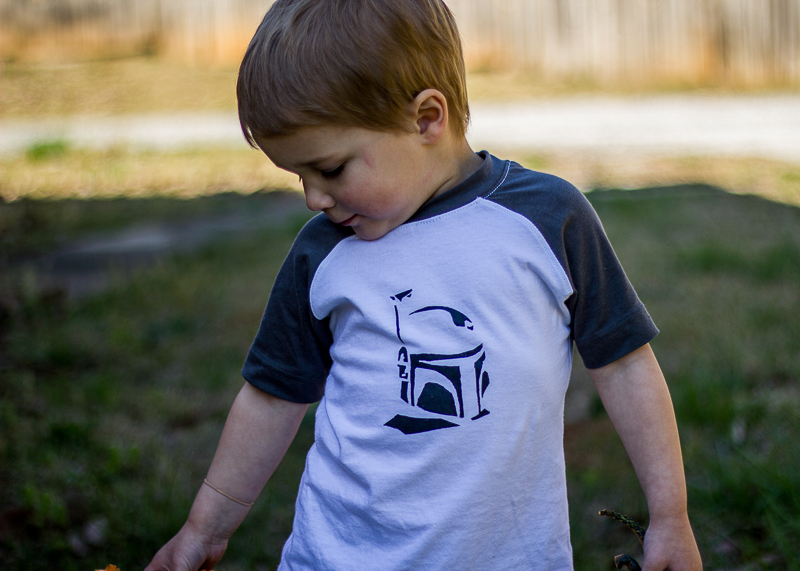 I am such a Star Wars nerd, and it’s too fun to pass that nerdiness on to your children! 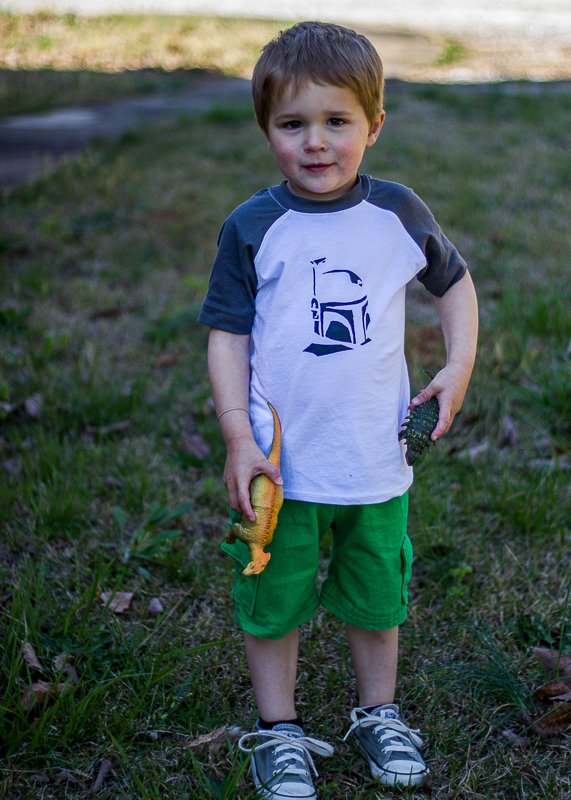 Oliver is at that impressionable age and loves anything we push as cool right now. 😉 He thought these were great. Ian made them the night before the party with pool noodles, electrical tape and duct tape. Easy, quick, and cheap! The kids had fun playing with them at the party and then got to take them home when the party was over. So, this kid. He’s got a lot of his mommy in him and it both frustrates me at times and yet completely endears him to me. 🙂 It’s so fun to watch him grow out of the toddler stage and full on into little boyhood. Can’t wait to see what three has in store for you, buddy!